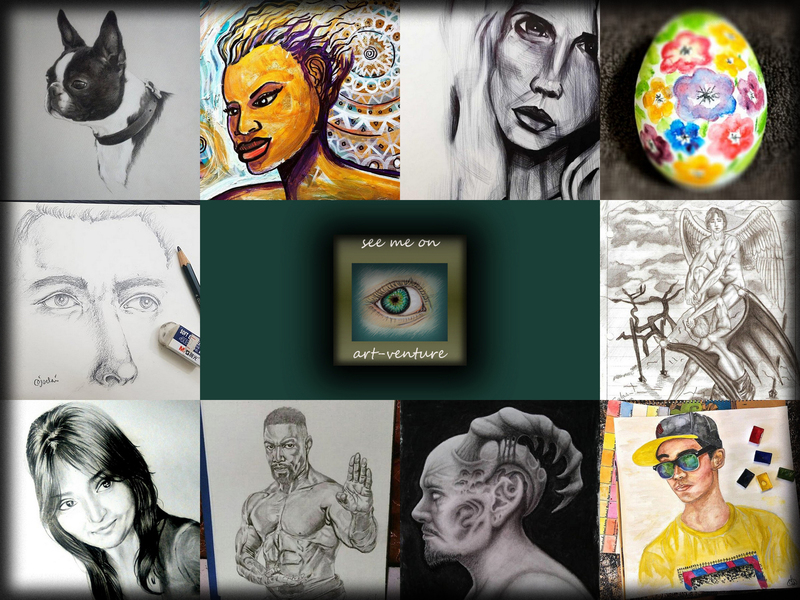 Welcome to today’s selection, as you may noticed this time we have many portraits in different style and with different mediums. Human being was always very interesting topics and of course Artists all see with their eyes, differently, some like realistic work, some prefer surrealism and some just Avant-garde, which comes from french language and means radical unusual, everything is possible, free. All Art creation styles are unique and we can love them or hate them, but if some art left you unemotional that means it was not good enough. The Art speaks no language because it is visual Art, so people can understand using their imagination and sharing them with others. Therefore, I can’t understand if somebody says that the posts must be written in English in order to get their attention but the posts containing created Art and no matter what languages Picasso, Dali or Van Gough, Kandinsky and of course our favorite Italian Artists Da Vinci and Michelangelo spoken we still love them and happy to have a chance to see their works, without asking their language. With this note I just wanted to encourage our community to look at the post of those Artists who we usually include in our magazine and who we believe deserve more attention, give them your support and you will be rewarded with more beautiful works.